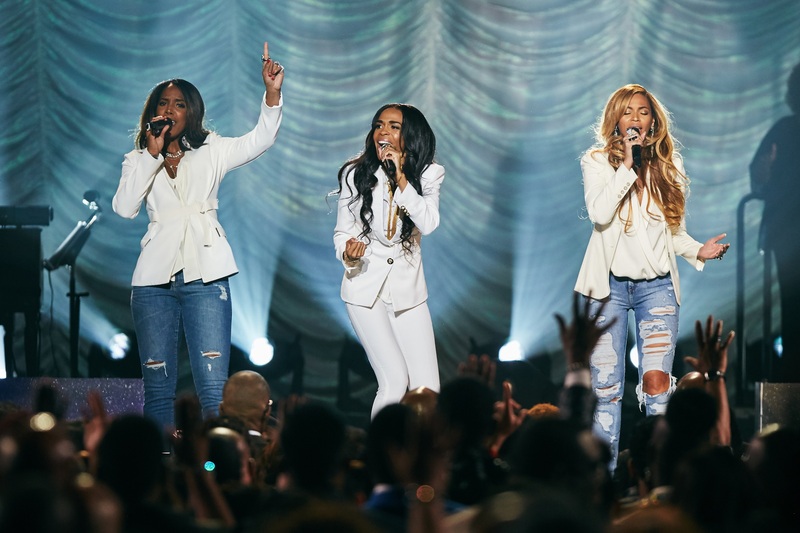 Of all the weekend buzz of Gospel’s biggest night, the 30th Annual Stellar Gospel Music Awards was capped by a reunion performance of Destiny’s Child. Michelle Williams flanked by Beyonce and Kelly Rowland opened the awards show with a rousing rendition of Say Yes from Williams’ Journey to Freedom CD. The big winner of the night was Erica Campbell, taking home six statues out of the ten nominations that she received for her solo debut CD Help. The Stellar Awards broadcast will be shown on Easter Sunday April 5th on TV One. Just in case you were waiting for a Destiny’s Child reunion, the wait is now over. Michelle Williams debuts her new song “Say Yes” (feat. Beyoncé and Kelly Rowland), heading both to iTunes and radio on June 2nd. “Say Yes” is produced by superstar producer Harmony Samuels and is from Williams’ upcoming album Journey to Freedom.